Decisive Trading: It Has Been a Busy Week! Hello everyone. Very busy week this week. I do apologise that there have been no posts, I just haven't had much spare time! I have new recording software + microphone for the PC in readiness for the live trading room, so posting should be back to normal next week. I didn't capture today's live trade. However this morning a subscriber (Jack Turner) asked for key levels to watch. I suggested 6160 as a strong possible level. The signal came at 7:55am, trading finished by 8:10am. 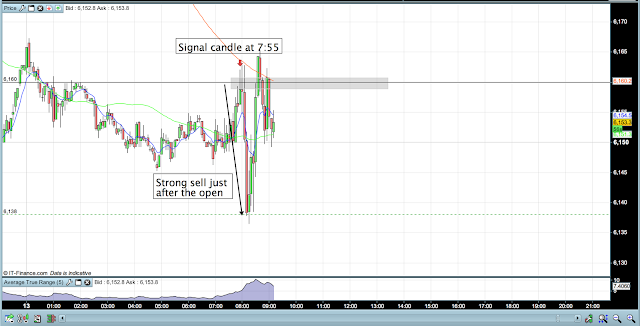 Attached is a screenshot of the trade. I hope you've all had a great trading week!